Has Kyrgyzstan’s new fine for spitting violated the country’s ‘social contract’? 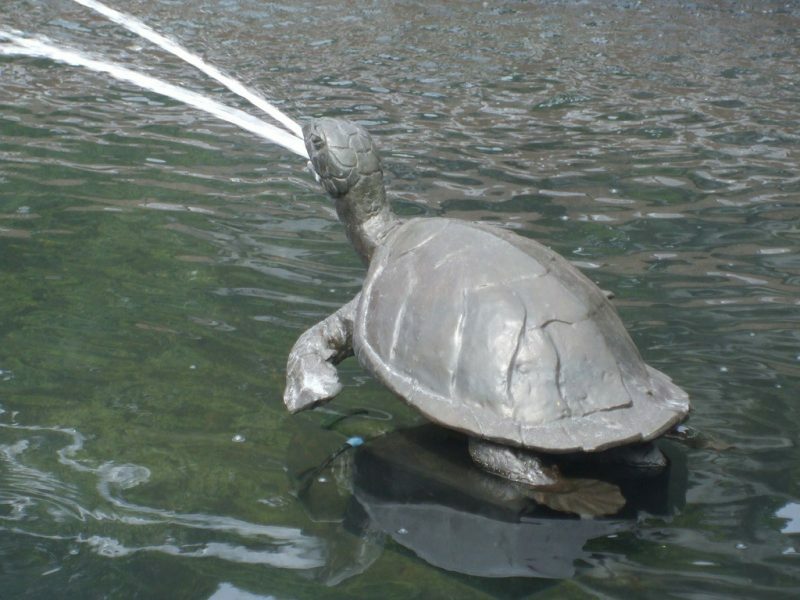 ‘The spitting Turtle’ by Jon Bragg. Attribution-ShareAlike 2.0 Generic (CC BY-SA 2.0). For illustration purposes only. Kyrgyzstan began 2019 with uproar over controversial amendments to the Criminal Code that introduced steep fines for new administrative offences and increased charges for pre-existing misdemeanours. One new stricture that really seems to have stuck in the throat is the newly devised Article 71, which officially bans public spitting with a fine worth a third of an average monthly salary in the Central Asian country. Countries such as China and Singapore have introduced similar measures on hygiene grounds in the past. Kyrgyzstan also suffers from high rates of Tuberculosis which can be spread through saliva. The country’s Prime Minister Mukhametkhali Abylgaziyev said the measures were necessary to form “social consciousness” but hinted that some of the fines might be pared down. President Sooronbai Jeenbekov lent his support to the new fines, particularly those related to road safety, and said Kyrgyz citizens should learn to “keep discipline”. The new fine for spitting is around 5,500 Kyrgyz soms, or $80, a fortune in a country where average monthly wages hover just over $200. That point was rammed home by a young man who filmed himself spitting demonstratively through the gates of Kyrgyzstan’s main government building, known locally as the White House, holding up 5,000 and 500 som notes to the camera. Police confirmed that Zakiriyev was later charged for the offence. The furore over fines brought the best out of Kyrgyzstan’s lively and eloquent civil society, however. Azim Azimov, director of the Media Kitchen and a noted political commentator looked to place the fines in the grander scheme of Kygyzstan’s 28-year-old independence. The result was a remarkably deep piece of political analysis in his video blog called Context. Channeling French thinker Jean Jacques Rousseau and English counterpart Thomas Hobbes, Azimov argued that the fines had challenged an unattractive but functioning version of the “social contract” between government and its people. But while Azimov criticised the government for failing to inform the population about the fines, he argued that the government should not back down in the face of public rage having introduced them. Doing so would undermine the very idea of law itself, while empowering the “Facebook mob.” Plato would probably have agreed with that. In addition to erudite analysis, the spitting law inspired plenty of silliness. The music video “Law” below was one example. The clip popular on Facebook shows tracksuited, cap-wearing young men known commonly throughout the former Soviet Union as ‘gopniki’ attempting to defend their right to behave badly in public while protesting the new fines. A cheeky Kyrgyz-language mock anecdote shared widely on social media meanwhile suggested that the real motive behind the new fines was paying off Kyrgyzstan’s billion-dollar plus debt to China. If the country’s six million citizens spit three times each, the government will have enough to do this, one ape told another. I can’t stay here any longer. My (Twitter feed) is covered in spit. If the civil disobedience of video-spitter Ramis Zakiriyev represented a wet projectile warning to a reform-shy government, there may be at least one man who is prepared to embody the discipline and social responsibility talked up by the national leadership. A short clip filmed from inside a car showed what appeared to be a man pounding the pavements of the national capital Bishkek, bucket in hand, inviting passersby to hock. Could these big fines be the beginning of something truly beautiful after all?